Chocolate Ice Cream that's good for you? 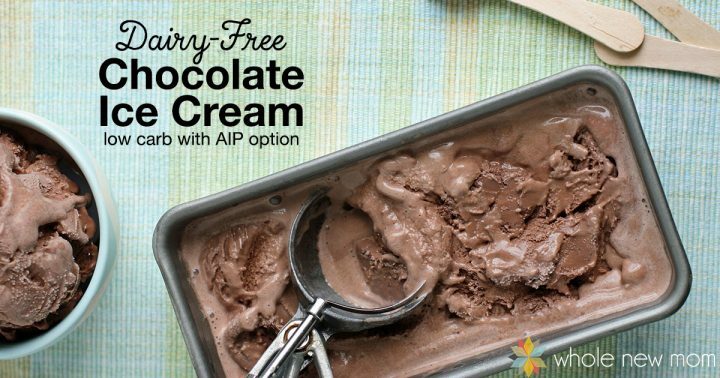 When it's this Vegan Chocolate Ice Cream, you've got a super healthy treat. Totally different than the ice cream that I grew up on. 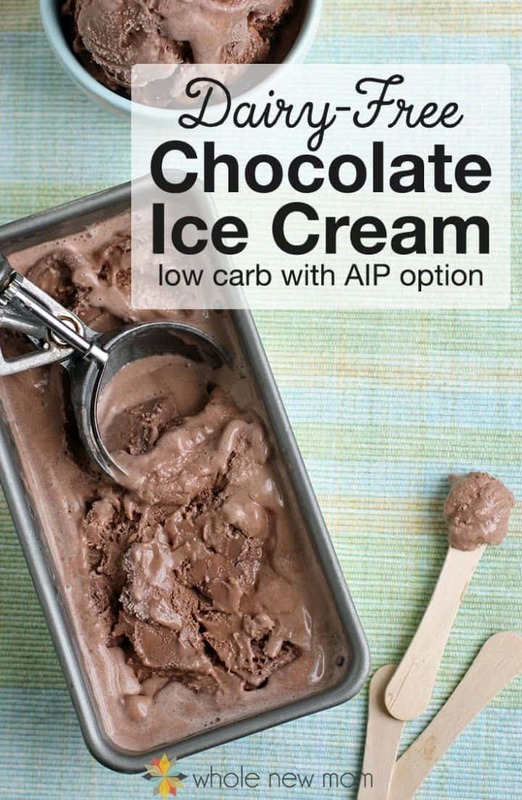 I've shared other Delicious Vegan Ice Creams on the blog before, like Vegan Mint Chocolate Chip Ice Cream, Dairy-Free Chocolate Almond Chip Ice Cream, Lemon Poppyseed Ice Cream, and Mocha Chip Ice Cream, but today I'm sharing one of the best – just basic Vegan Chocolate Ice Cream. When I was young, ice cream was my treat of choice. I think I've mentioned this before, but I was a total. ice. cream. addict. And if you asked me what food I would want if I could have one food and no other? I would sit and eat Breyer's Natural Mint Chocolate Chip in front of the TV while doing homework, we'd head to a local ice cream stand for swirled cones, and a trip to the local Friendly's® was always a favorite! 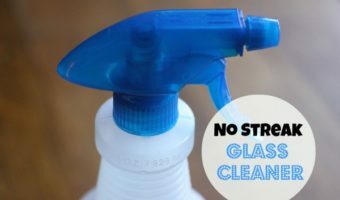 Since getting candida, going sugar-free, and going more and more low carb, and since my oldest has a life-threatening food allergy to dairy, things had to change. No more trips to Mickey D's for soft serve cones, and well, you won't see us in the local ice cream parlors (though we have on occasion taken a coupon and headed to a TCBY for a treat, but don't tell, OK :)? It's not exactly on the whole-foody acceptable list. 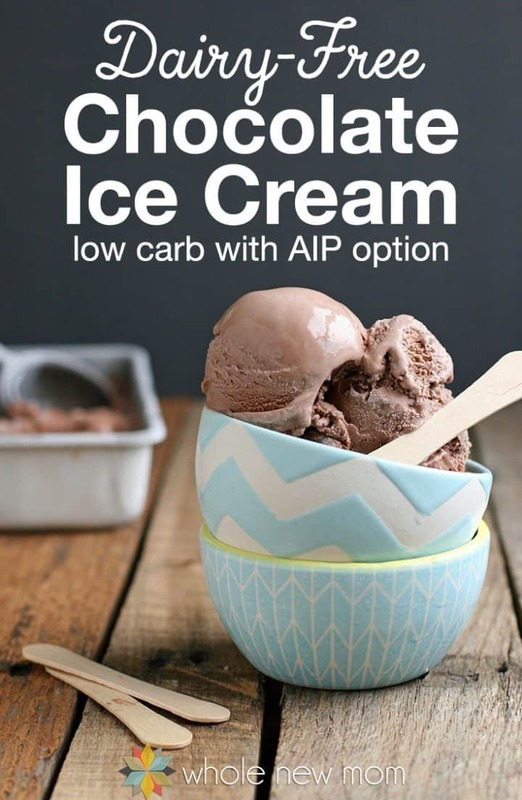 Anyhow, though I am still tempted by all the lovely ice creams I see sometimes when we are out, you really can make amazingly good ice cream at home — and when it's as healthy as this vegan chocolate ice cream, no need to feel bad about eating it, even if you do overindulge. Instead of feeling guilty after eating a pint, you can enjoy the chocolate creaminess in this dessert while knowing that it is full of nourishing ingredients. So I say, bring on the Vegan Chocolate Ice Cream now. Coconut milk contains lauric acid as well (albeit not as much as the oil) and is thus beneficial in killing candida. Lucky for us coconut milk is super delicious and makes fantastic ice cream that is rich, creamy, and a decadent treat. It makes killing off candida and being healthy overall a tasty experience. Could it get any better? An easy peasy ice cream that is both delicious and beneficial — not too shabby. The texture of this chocolate coconut milk ice cream, freshly churned, resembles the soft serve variety, but once frozen it will be closer to traditional ice cream. While the gelatin keeps this ice cream from getting too icy in the freezer, it still freezes pretty hard, so I recommend having it sit out about 15 minutes before serving. I used the Cuisinart Ice Cream Maker for this recipe. It worked fine, but you really have to have the mixture chilled prior to making desserts in this maker. Otherwise, it will be quite runny (albeit yummy) and will need to be solidified in the freezer if you want it to be scoopable. If you decide to freeze it and it gets too hard to scoop, try this handy anti-freeze ice cream scoop. Homemade Coconut Milk: You can use my Easiest Coconut Milk for a homemade version of coconut milk. Cocoa: For more health benefits, use organic raw cacao instead of cocoa, or use organic carob powder for AIP. Stevia: Use about 2 3/4 tsp powdered stevia, or to taste (See How to Use Stevia) instead of vanilla liquid stevia, or use 9 1/2 Tbsp honey, organic maple syrup, or organic coconut sugar for AIP. Also add a splash of vanilla. 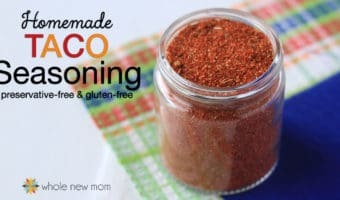 You can substitute about 2/5 tsp powdered stevia, or to taste for the plain liquid stevia, and you can also use 1 1/2 Tbsp honey, maple syrup, or coconut sugar for AIP. Thickener: It is probably fine to omit the use of a thickener if you use MCT oil. If you do not use MCT oil, I definitely recommend using a thickener, since it really helps improve the texture of the ice cream. Of course, the ice cream will taste great regardless. 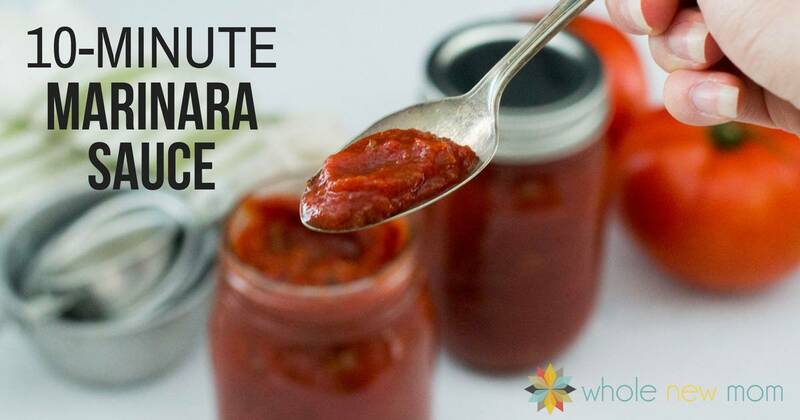 THM: This recipe qualifies as an “S” for those on the Trim Healthy Mama plan as long as you do not use arrowroot. 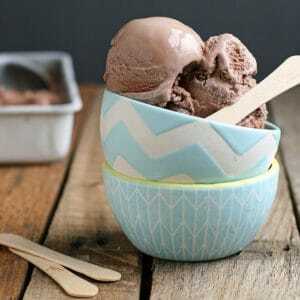 This Chocolate Coconut Milk Ice Cream is rich, creamy, decadent, and is a breeze to make. 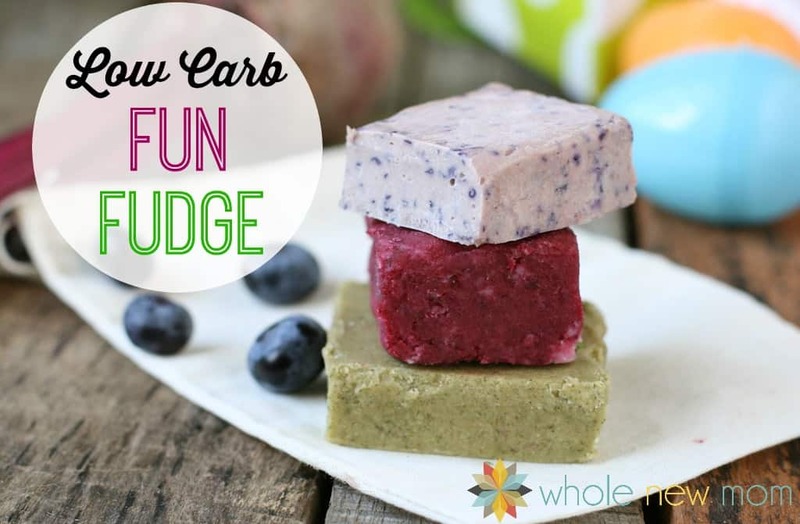 It's dairy-free, gluten-free, egg-free and AIP-friendly! Chill coconut milk prior to starting, if possible. Mix the coconut milk (reserving ¼ cup), cocoa (or carob), MCT oil, salt, stevia (or other sweeteners), lemon juice, and arrowroot powder (if using it) in a blender (like a Vitamix or a Blendtec), with a mixer or by hand. Take 3 Tbsp of the above ice cream mixture and place it into a small bowl. Sprinkle the gelatin over the mixture (do not pour into a clump) and let soften for 5 minutes. After 5 minutes, stir the gelatin in (it should have the consistency of applesauce. Heat up the reserved ¼ cup of coconut milk (until steamy, but not boiling). Slowly pour the heated coconut milk into the gelatin mixture from step 3, whisking while you do. Continue to whisk until gelatin is dissolved. Pour gelatin mixture into the ice cream mixture from step 2 slowly, stirring to combine. Follow manufacturer's directions for your ice cream maker. Store in the freezer -- if you have an left over, that is :). Do you have to process this through an ice cream maker? Trying to find an ice cream recipe without needing the machine. Technically you can make any ice cream without a maker. You just have to do it right. One idea is to just put it in a pan and place in the freezer and stir every 30 min or so. Hope it works well for you! It won’t be as good but should work!